LINE Corp is known for its popular communication application, LINE, which enables users to enjoy free messages, voice calls, and video calls anytime, anywhere via their smartphones and PCs. LINE's monthly active user base has now reached 165 million in the top 4 global markets including Japan, Taiwan, Thailand, and Indonesia. LINE wanted to adopt a scalable, enterprise-grade MySQL database to ensure high availability and easy maintenance. Tech-Trans Telecom (China) Ltd. (Tech-Trans) offers comprehensive and effective total solutions, including system integration and infrastructure design, to customers via partnerships with various global IT leaders, such as Oracle, IBM, and HPE. Its point-of-sale (POS) solution has approximately 50% market share in the Asia Pacific region’s retail industry, is included in the top 10 retail brands in Hong Kong, and has presence in 45% of large-scale shopping malls in China. With rapid growth in online payment, customer relationship management (CRM), royalty, and membership modules, Tech-Trans wanted to ensure that the database for its online-to-offline (O2O) POS solution is scalable and enables its customers to expand globally. To meet this goal, the company moved to MySQL Enterprise Edition to improve the availability and scalability of system performance while reducing costs. Credorax is a licensed Merchant Acquiring Bank, providing cross-border Smart Acquiring services to global merchants and payment service providers. Remaining true to their hi-tech roots and focus, Credorax is creating the next generation technology-driven banking solutions for the eCommerce arena. Credorax's main payment processing engine uses MySQL at its core, for processing hundreds of transactions a second from customers globally. MySQL was chosen for it's flexibility and modular design allowing it to fit into a custom designed architecture meeting Credorax's specific throughput, availability and future scalability needs at a cost-effective price point. In the race to swiftly and accurately report on breaking news stories as they happen, today's journalists are increasingly turning to social media outlets. At the same time, this rise of content has also led to a growing need for data filtering and verification - beyond that of human capability. Using MySQL, x.news quickly crafted an intuitive and flexible SaaS solution capable of digesting the mass amounts of data and presenting only the most relevant and verifiable pieces of information. WealthObjects is an award winning Financial Technology (FinTech) company offering technology solutions for Banks as well as Wealth Management and Investment Management companies. WealthObjects is innovating rapidly and constantly adding new enhancements to their product stack. MySQL's continuous innovation enables them on their journey. Inpeco SA is a pioneer in developing robotic solutions for Clinical Laboratories. MySQL Enterprise Edition is enabling Inpeco SA to rapidly evolve FlexLab into a robust lab automation solution, while optimizing development costs and efforts. API Outsourcing is a technology company and provider of CentreviewsBusiness Intelligence Suite, a simple, scalable, and secure solution for back office departments and professionals to automate their accounts payable, accounts receivable and document management processes. MySQL has been the core of the Centreviews platform since the inception in 2005. It stores all the data to support invoice approval workflow and the associated documents to data archives and remittance processes. MySQL serves over 10,000 Centreviews users daily and processes over 100 million transactions annually. TickTrade Systems, based out of Toronto Canada, is a next generation electronic trading and analytics software provider for financial institutions and their clients. To support all of these cutting-edge technologies, TickTrade chose MySQL as the building block of its database solution. Based in Italy, SERNAV Group was founded in 1989 and manages the complete cycle of marine transportation activities. The companies of the group handle shipping agents, customs operations, overland and nautical transportation of conventional goods & containers, storing, loading and unloading of containers as well as logistics and distribution. forTravel, Inc. is the third largest subsidiary of Kakaku.com, Inc., which operates Japan’s most popular consumer goods price review site. To align with the corporate philosophy of “everything for travel”, forTravel manages an online travel portal that provides the country’s highest number of travel reviews and price comparison information. The portal also enables 80 million travelers per year to make travel reservations, research information and read reviews prior to departure, keep a journal during the trip, and share the experience with others on their return. With over 13 million visitors to Japan in 2014, forTravel is aiming to improve its service quality and support rapid growth in the domestic travel industry. Lumata is an independent company focusing on business-to-business (B2B) services in the mobile marketing sector. The company, controlled by Francisco Partners and Buongiorno S.p.A., provides consumer brands, mobile operators, and hardware manufacturers with the tools required to interact with their customers via mobile devices. Lumata serves the international market through 15 offices that partner with more than 100 clients, including some of the world’s top-tier international phone companies and blue chip brands. Established in 2007, Isibet, a registered trademark of Totoinvest S.p.A., is an online gaming and gambling business that offers betting on sporting events, casino games, poker, and other activities. Based in Italy, the company differentiates itself from its competitors with high-level gaming performance and ensures 24/7 online gaming and betting service for its customers. Genoscope, the French National Sequencing Center, was created in 1997 and is one of the largest sequencing centers in Europe. It implemented MySQL Enterprise Edition to enable the scientific community to access genomic data via web applications. Sharecat provides supply chain management solutions to oil and gas operators, delivering an innovative collaborative environment which includes the manufacturers' equipment catalogues and technical information. The team particularly valued its performance and scalability in addition to the opportunity to reduce database TCO by 90% compared to Microsoft SQL Server. Fabrikant.ru is a Russian electronic-trading platform that brings together market players-buyers, brokers, and suppliers-across different industries. Fabrikant.ru deployed MySQL Enterprise Edition with MySQL Database as a powerful, open-source database solution. Having a vision to solve such channel visibility problems for customers including Symantec, Logitech, Seagate and Xerox, Zyme built its channel data management solutions that not only get reliable, high-quality channel data from thousands of partners worldwide, but also have the capability to integrate with customers’ existing on-premise or cloud CRM, Data Warehousing or Business Intelligence systems to bring such channel visibility and information to the field sales and marketing teams and drive better business results. In 2009 Atos was asked to drastically reduce the costs of the UCS application (Universal Clearing System): the compensation engine for the Euronext Cash (stocks and bonds) and derivatives markets in the Euro zone. Atos adopted an Open Source strategy and completely re-engineered the application relying on a software stack including Linux, MySQL Enterprise Edition, Apache/Tomcat, and the C and Java languages. "Oracle's MySQL solutions allow us to focus on building differentiated solutions on top of a solid foundation that we don't need to worry about. The ability to define a cost effective standard solution that can scale up to meet any operator's need was critical to us. MySQL made the build vs buy decision an easy one." Verizon Wireless, the #1 mobile carrier in the United States, operates the nation’s largest 3G and 4G LTE network, with the most subscribers (109 millions) and the highest revenue ($70.2 Billion in 2011). Seeing the stupendous rise in social media, video streaming, live broadcasting…etc which redefined the scope of technology, Verizon Wireless, as a technology savvy company, wanted to provide a platform to its employees where they could network socially, view and host microsites, stream live videos, blog and provide latest news. "MySQL is the key component of Verizon Wireless' mission-critical employee portal application," said Shivinder Singh, senior DBA at Verizon Wireless. "We achieved 1400% performance improvement by moving from MyISAM storage engine to InnoDB, upgrading to the latest GA release MySQL 5.5, and using the MySQL Thread Pool to support high concurrent user connections. MySQL has become part of our IT infrastructure, on which potentially more future applications will be built." The Phone House Telecom, headquartered in Muenster, Germany, is a wholly-owned subsidiary of UK-based The Carphone Warehouse plc - the world's largest independent mobile telephone retailer. The company has more than 850 employees, and more than 1.5 million customers. The Phone House's online shop, content management and online billing systems were distributed on different systems running Informix and Oracle databases. This legacy environment was difficult to maintain - especially when facing significant growth in the number of visitors to its online shop. The company decided to consolidate all these systems on one database platform, one that was easily scalable and less costly to administer. Gumtree.com was started in March 2000 as a local online community notice board. The company has grown to cover over 70 cities across 8 countries, and is now the UK's biggest website for local community classifieds, including flat share, flat rentals and jobs - with more than 1 million live ads at any one time, and over 5.5 million visitors per month. >From the beginning, Gumtree needed a database to power its operations that would be reliable, robust and affordable - but most of all: scalable. 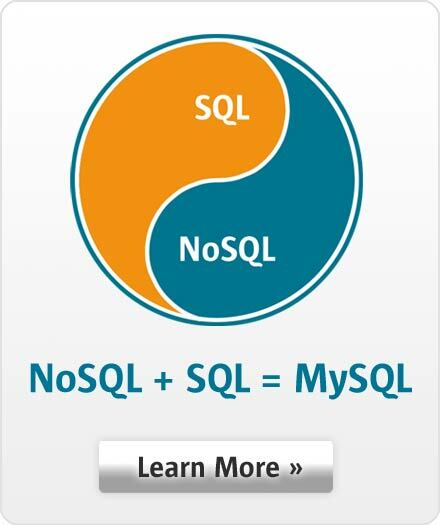 The company chose MySQL, and has never looked back. thePlatform is a leading, fast-growing video management and publishing company for broadband, mobile and TV. Since its debut, thePlatform quickly grew revenue, as well as momentum, in the media sector, and has successfully gained well-known customers, including Comcast, NBC-Universal, Associated Press, BBC Global News, HIT Entertainment and CNBC.